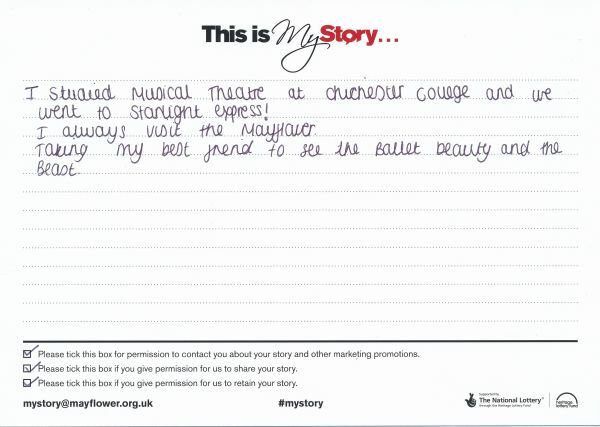 My Story card: Mollie remembers seeing many performances at Mayflower Theatre. I studied Musical Theatre at Chichester College and we went to Starlight Express! I always visit the Mayflower Taking my best friend to see the ballet Beauty and the Beast.